2 Dead in IS-Claimed Attack on Pakistan Christians - Integration Through Media ....! 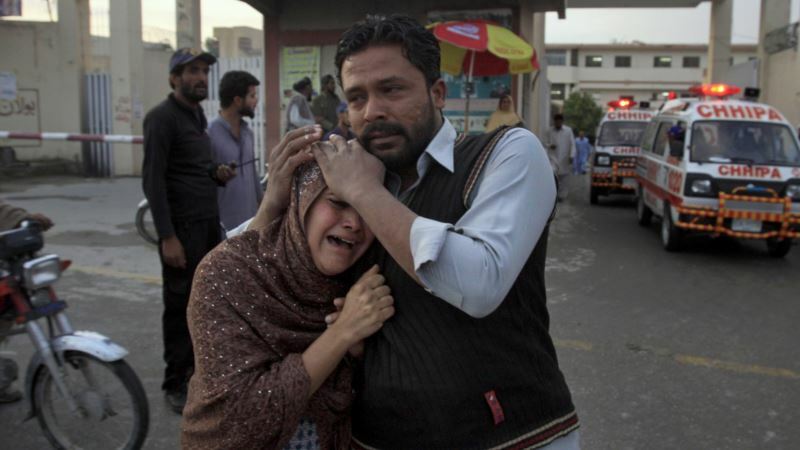 (VOA): Suspected Islamic State militants in southwestern Pakistan have shot dead two members of the minority Christian community and wounded at least five others. Police and witnesses said the victims were leaving a church in the city of Quetta after attending the Sunday service when gunmen on motorbike sprayed them with bullets and fled the scene. Islamic State, through its Amaq news agency, claimed responsibility for the shooting incident. The terrorist group, without providing evidence, said its regional affiliate, Khorasan Province, carried out the attack, according to SITE Intelligence Group, which monitors jihadist threats. This was the second IS-plotted attack on Christians in Quetta this month. On April 2, gunmen stopped a three-wheeler rickshaw on a main road and killed four members of the minority community. The slain Christians belonged to the same family. Two IS suicide bombers assaulted a crowded church in Quetta last December, killing nine people and injuring 30 others. Pakistan officials allege IS loyalists use bases in neighboring Afghanistan to plot terrorist attacks against the country and have been calling on Kabul to go after the militant sanctuaries.